Well, last night didn’t go as planned. 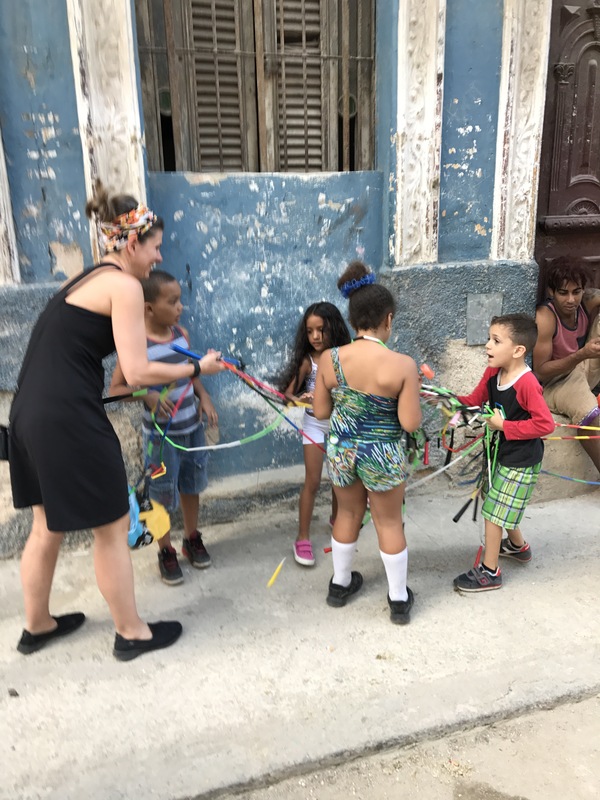 We had planned to hit the swanky night club/art studio called La Fabrica de Arte Cubano, but decided to stay in Central Havana to give jump ropes to the local kids! What a great decision! It was so much fun to see their faces light up when we brought out the ropes. For three hours, I played on the street with them. Some of the parents even tried to jump. We met a nice guy named DJ from California who turned the ropes for a bit as well. 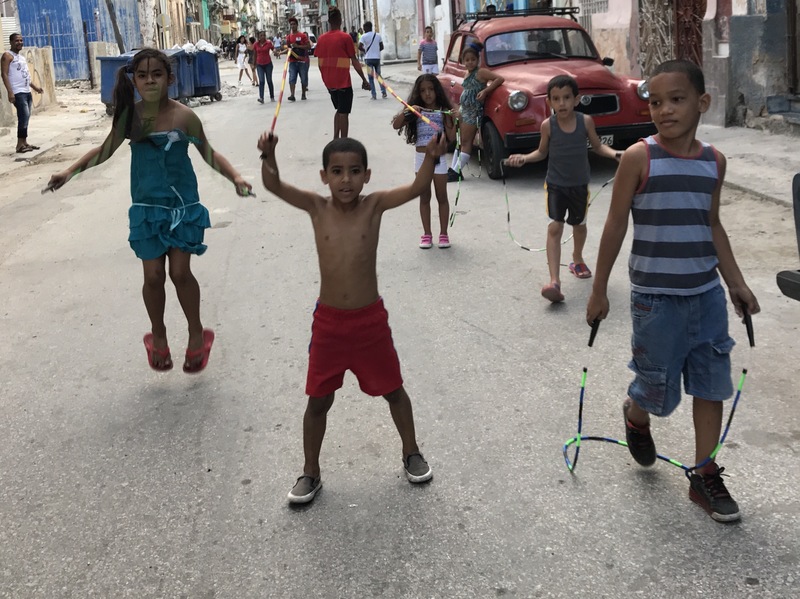 It is true that jump rope is a worldwide sport. It’s universal. I only wish that Kevin had been here to really show them some tricks. They would have been amazed! Here are a couple of pictures of our new little cutie pie friends. They were so adorable. Several of them even wanted to count to 20 in English for us. They might have skipped 13, 15 and 17, but it was so sweet! They loved my phone and when I showed them my pictures, they came across one that had Donald Trump in it. They asked me if that was Presisdent Obama. Talk about innocence (and censoring of media of all types)! Doris came at 8:00 to make another delicious breakfast for us. Today, we had fresh orange pineapple juice with our fruit salad and eggs. She told us that she was able to get some huge mangoes at the market so tomorrow morning we will have mango juice! Yeah! 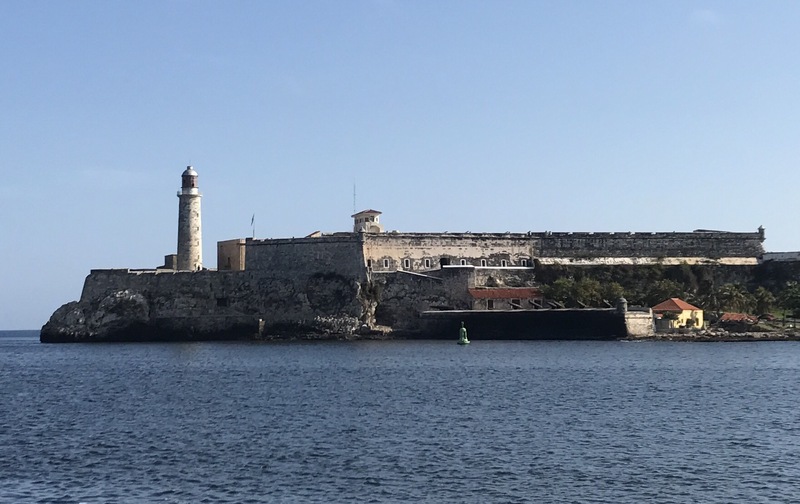 Brian and I had several places we wanted to visit today so we left our Casa at 9:00am and walked first to the Castillo de San Salvador de La Punta, a fortress designed to protect the entrance to Havana Bay. 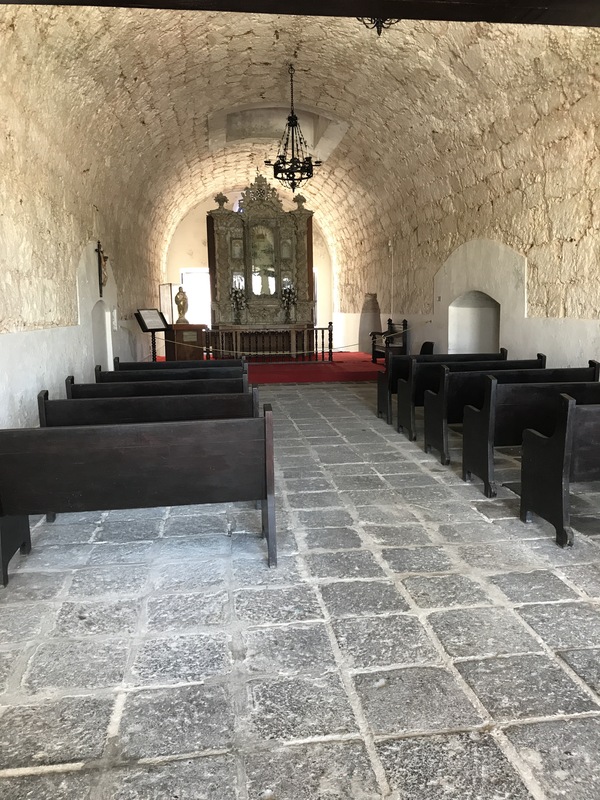 From there, we grabbed a taxi for $3CUCs to take us through the underwater tunnel over to the UNESCO World Heritage Site known as Morro-Cabana. 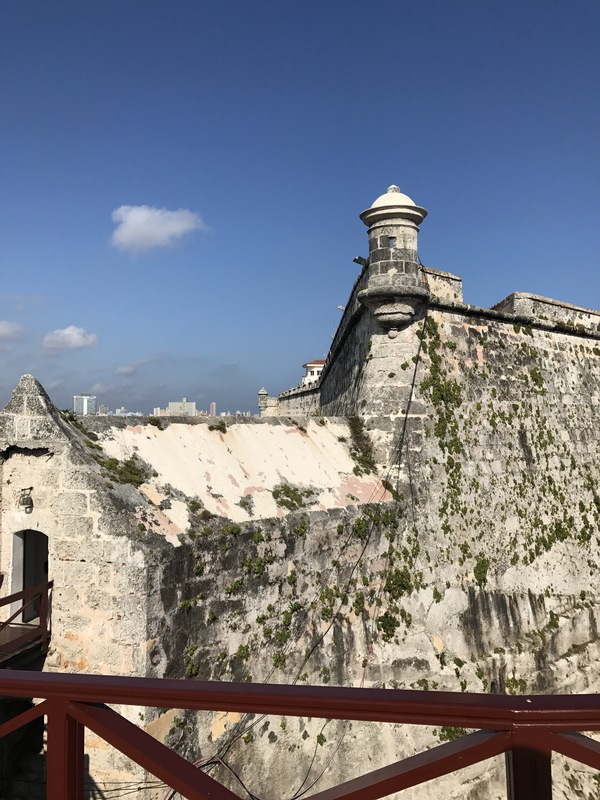 On this site are two large fortresses, the Castillo de los Tres Reyes del Morro and the Fortaleza de San Carlos de la Cabana. 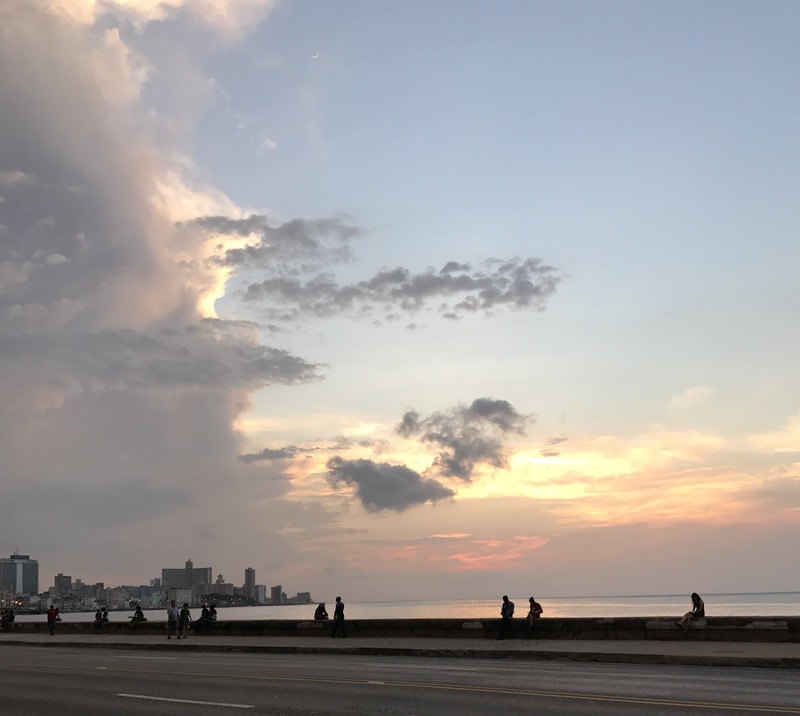 The views from these spectacular defensive properties over to the Havana city scape were impressive. We walked and read about the uses of the buildings. 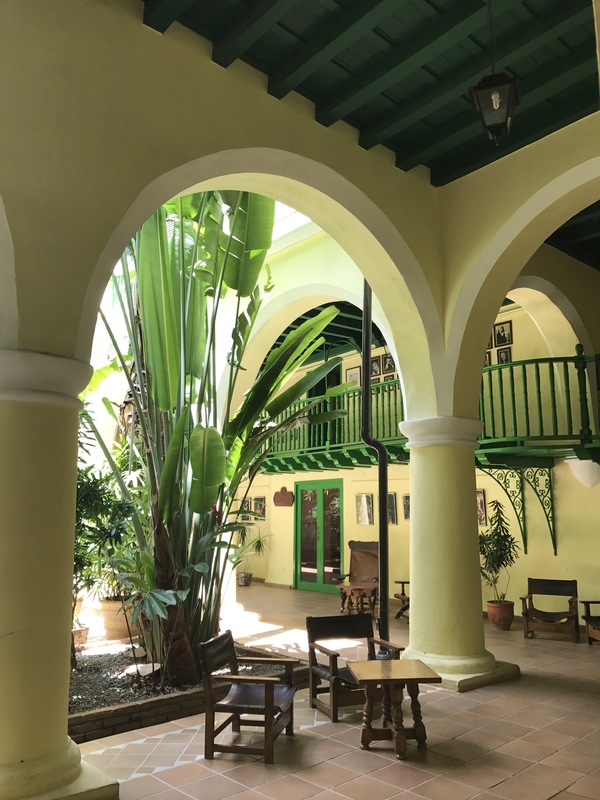 What especially interested me was the history of the Cabana as a military prison and also as the location of Ché Guevara’s offices after the January 1, 1959 Cuban Revolution. 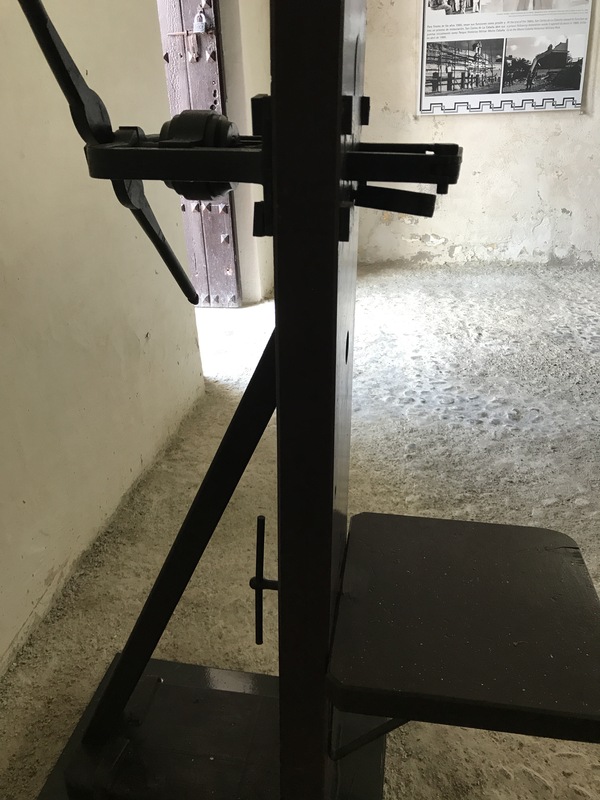 We saw many artifacts of war and prisoner torture. We also stopped by the cigar shoppe to purchase a few cigars to take back home. We also got some local coffee. 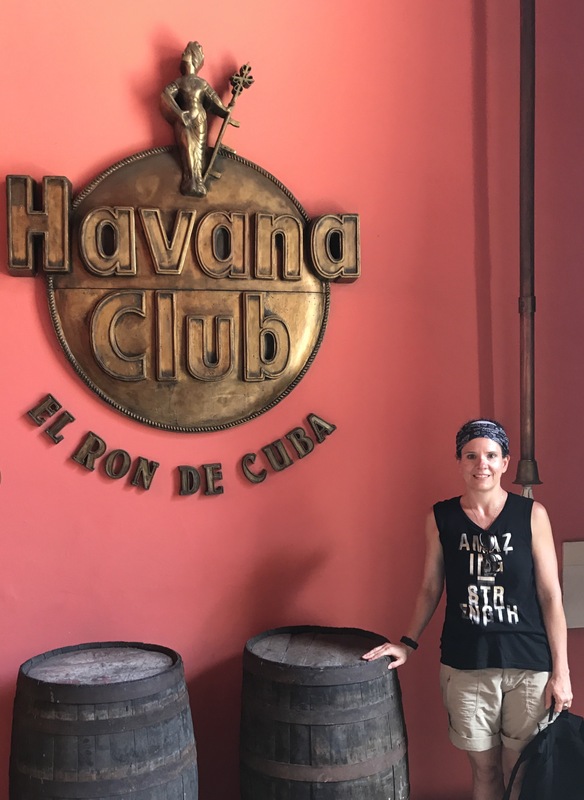 Yes, Cuban cigars are famous, but NO they aren’t a deal here. They are super expensive! We were two of only about ten tourists at the site today. I was told that it could get quite crowded at night as there is a canon ceremony at 9pm every day of the week. 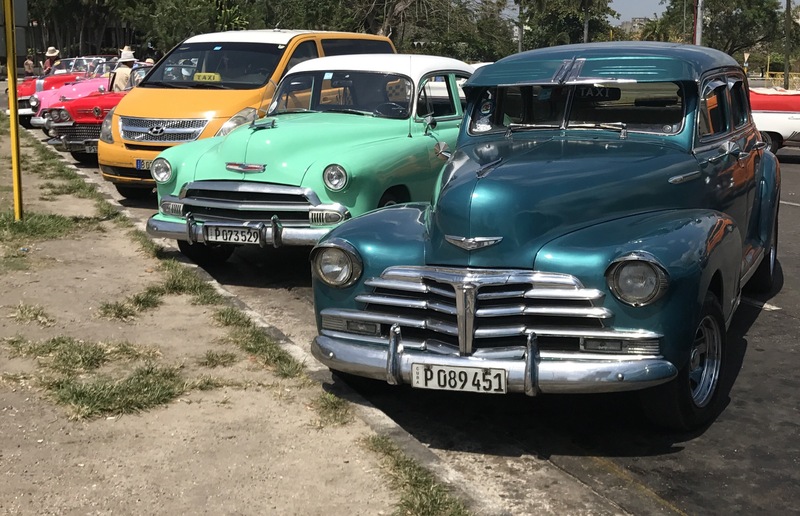 We caught another taxi back into Havana and were dropped off at the Rum Museum. While we didn’t take a tour, we did walk around inside long enough to realize what a tourist trap it was. 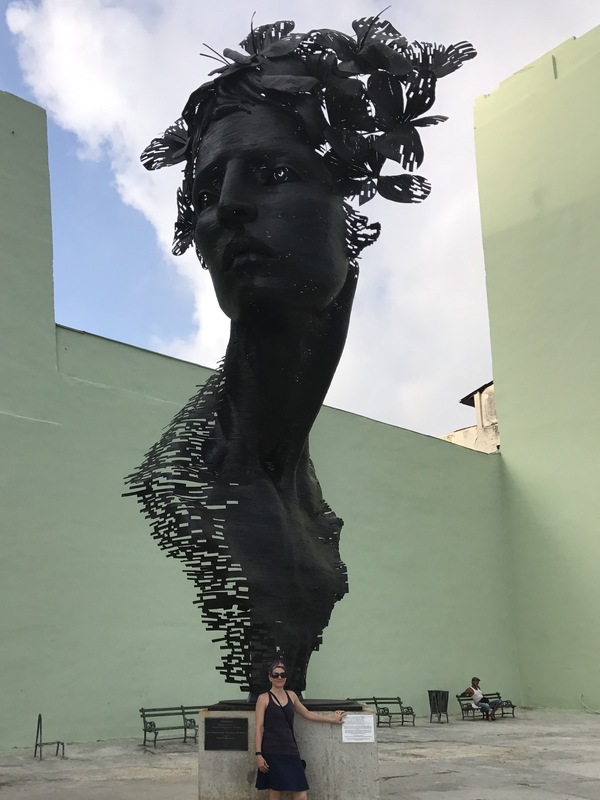 A quick picture and we were back off to the streets of Old Havana. Today the streets were much more crowded than on Wednesday. The weekend tours have arrived apparently! 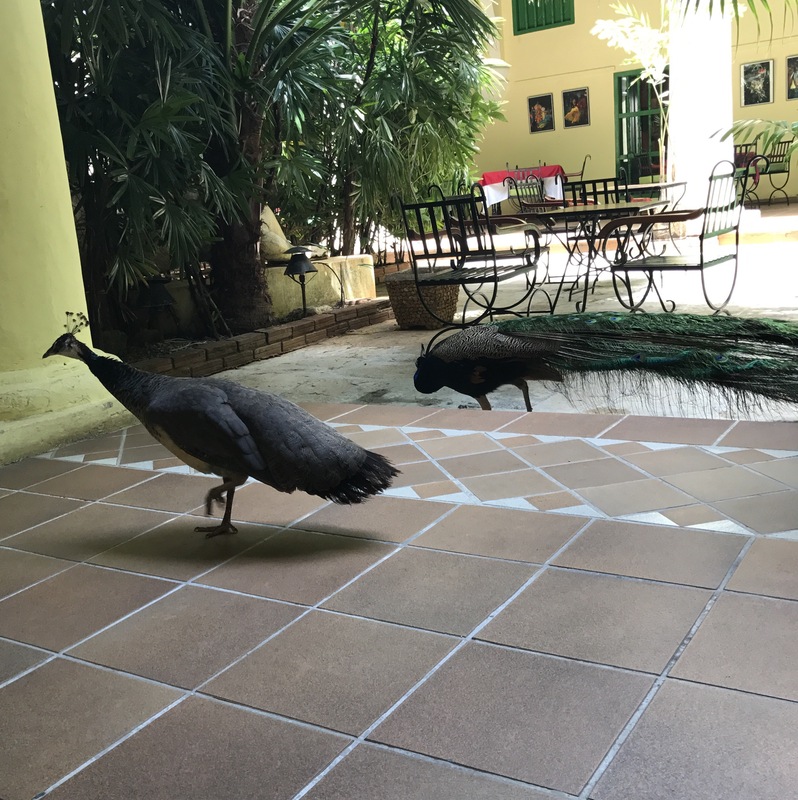 Taking a tip from a tour book, we stopped at the Hostel de Conde Villanueva, a small boutique hotel where peacocks run wild and the internet is free. After thirty minutes of relaxation and reconnecting, we headed back out to find a bite to eat. 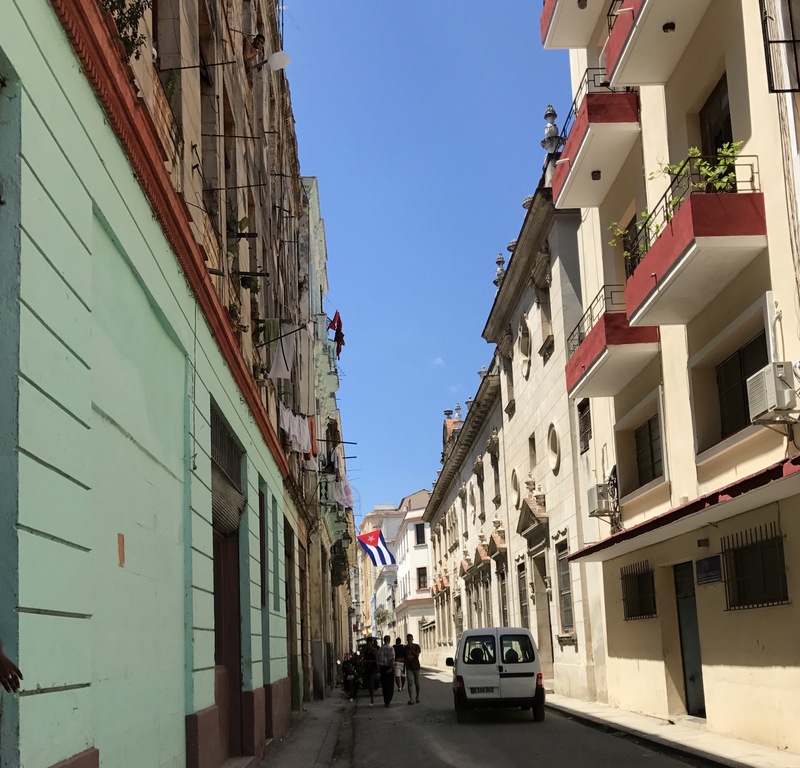 We meandered through a couple of artisan markets on the way to grab a bite of lunch. 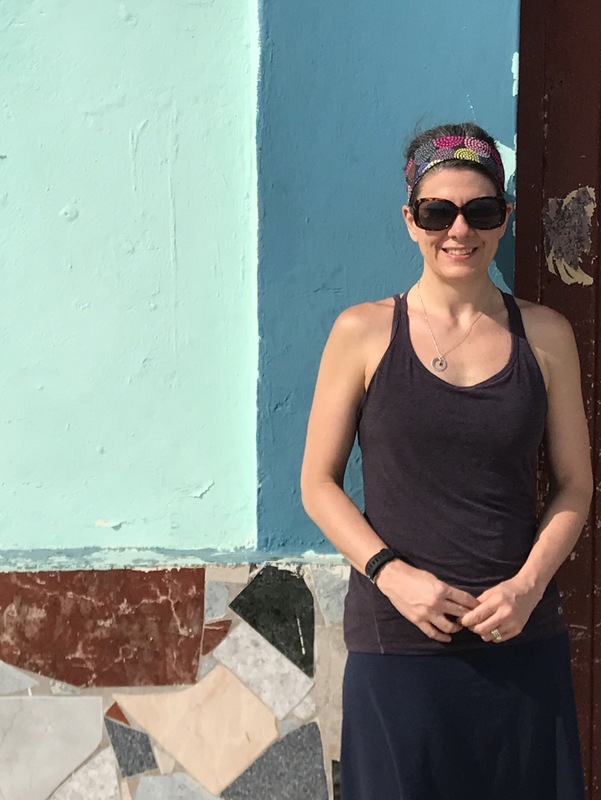 As we were exiting one of them, I was approached by a man who said he recognized me from the airport on Wednesday. Not immediately thinking it was a scam, Brian and I decided to listen to him for a few minutes. 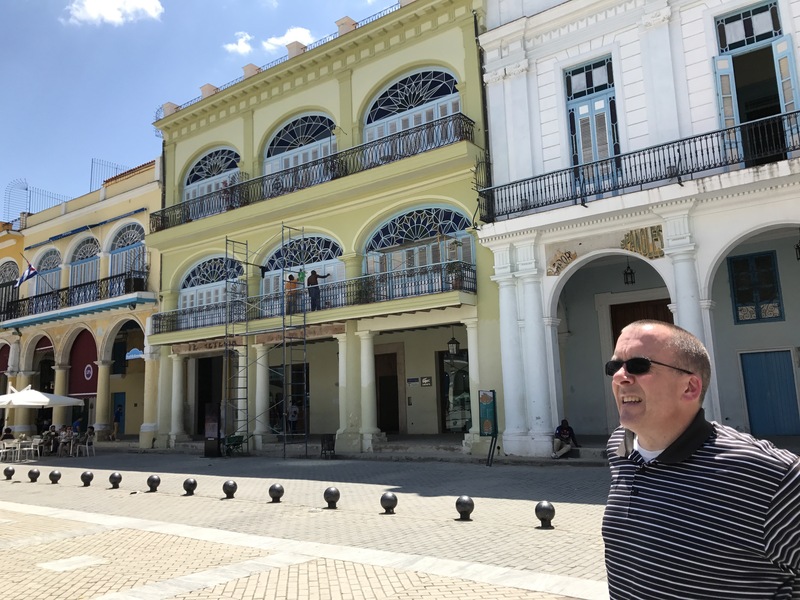 He spoke to us in English and then proceeded to tell us about the tobacco cooperatives that are part of a revitalization effort for the city sponsored by the Cuban government. Having read lots and lots about this, I believed it to be a real thing. 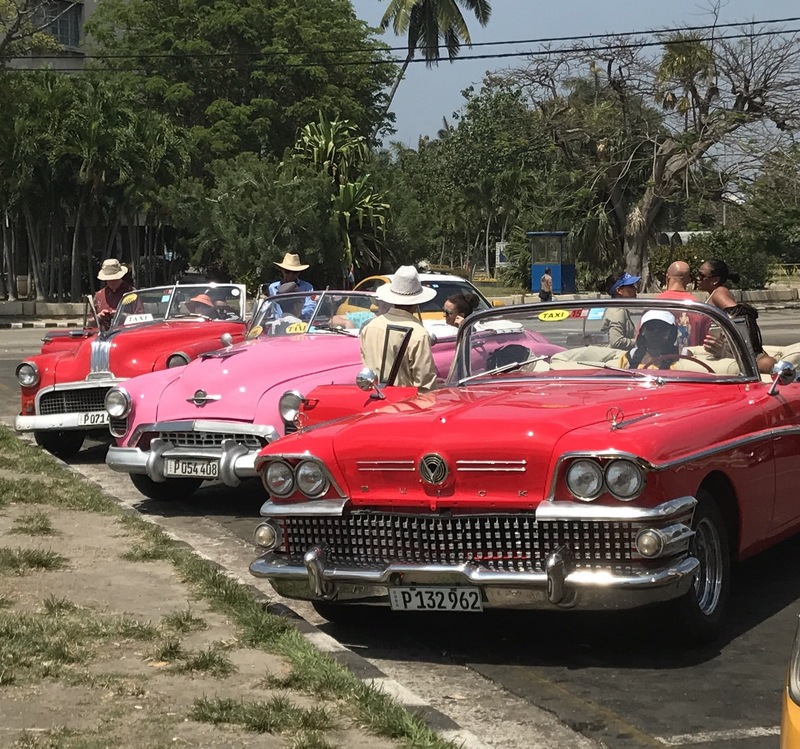 He told us that there are two days per month that the cooperatives are authorized to sell their own products (cigars) and if they give 50% of their proceeds to social projects in Havana, they can keep the other 50% (instead of paying the government which is what they usually have to do). 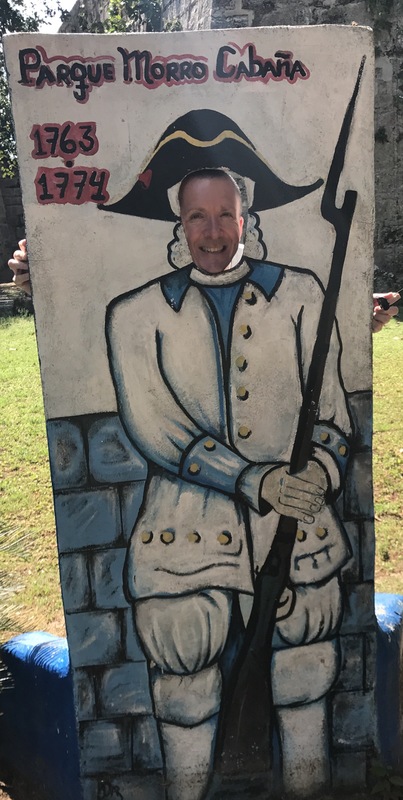 We thought it might be nice to put some of our last tourist dollars to good use supporting the local tobacco farmers so we listened to his advice. Once he noted that we were interested, he said he would show us how to find the cooperative. That should have been our RED FLAG! We followed him several blocks all the while speaking in both Spanish and English about our lives. He took us into a residential building where he led us upstairs to a kitchen. By this point, Brian and I really felt something was not right. He proceeded to show us many different types of Cuban cigars. He showed us the regulatory stamps and seals that are required by the government of Cuba when leaving the country. To this minute, I believe that the cigars were authentic. I believe his sales approach was fraudulent. Long story short, we paid $50CUC (after having them start at nearly $300CUC) to get the heck out of there with a small box of Cohibas and what was left of my Spanish teacher pride. 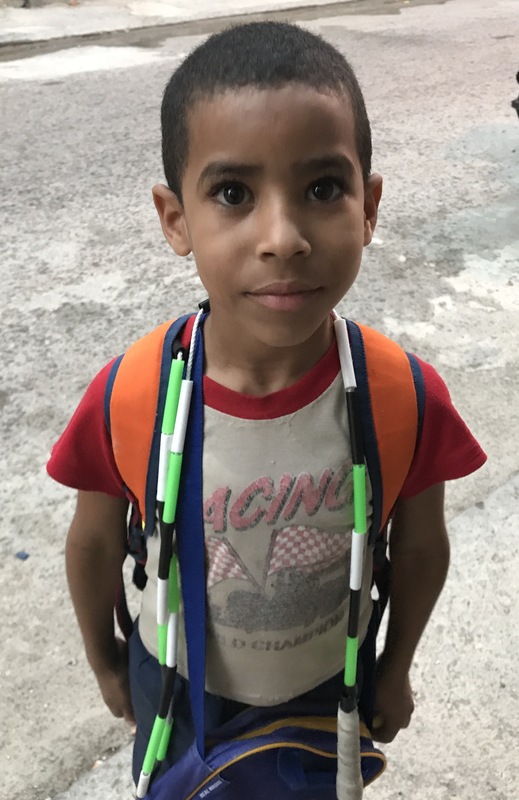 “Juan” accompanied us to the street and then, as suspected by now, asked us to buy his daughter some powdered milk from the local store for $8.50CUC. Not believing him, I asked him to take me to the store where i could verify the price. When we got there, there was no milk. At this point, I said we had to get back to our place and we abruptly left him in the store. During our interaction, he made attempts to find out where we were staying, when we were leaving and what our plans were for the rest of the day. He was smooth. I am not an idiot and I did a ton of research about jinoteros and how sly they are. This one fooled both of us! At least we have a story to tell. 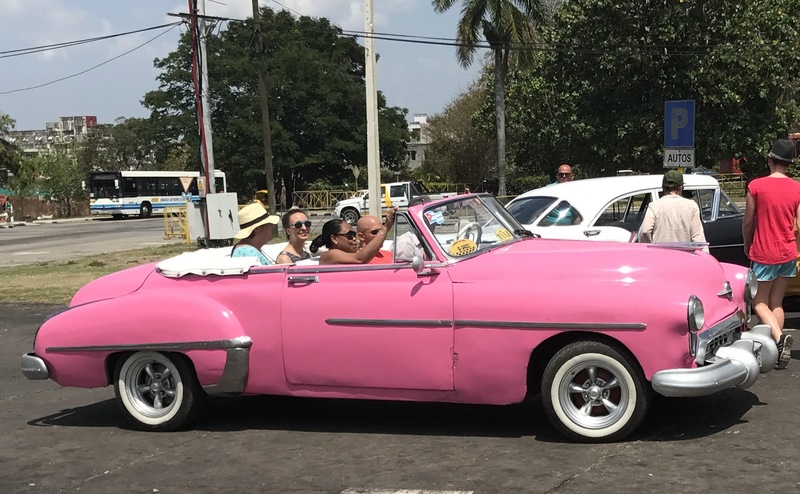 The worst part is that we are low on cash and spending that cash means I won’t get a fancy ride in a 50s Chevy convertible tonight, but at least I’ll be able to smoke my cigars! 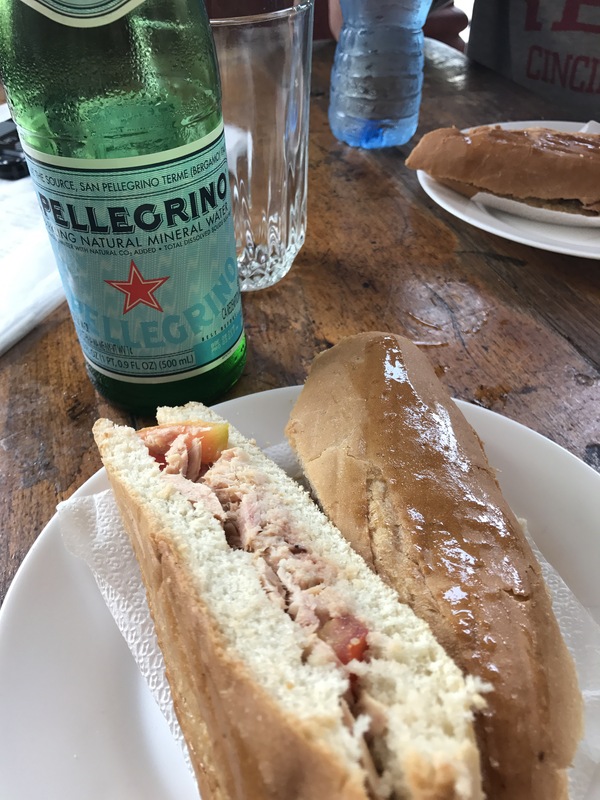 We stopped at the Pasteleria Francesa at the Parque Central to grab a drink and a sandwich. For $8.50, we got two large sandwiches (chicken for Brian and tuna for me) and two bottles of water. Again, decent enough, but nothing special. 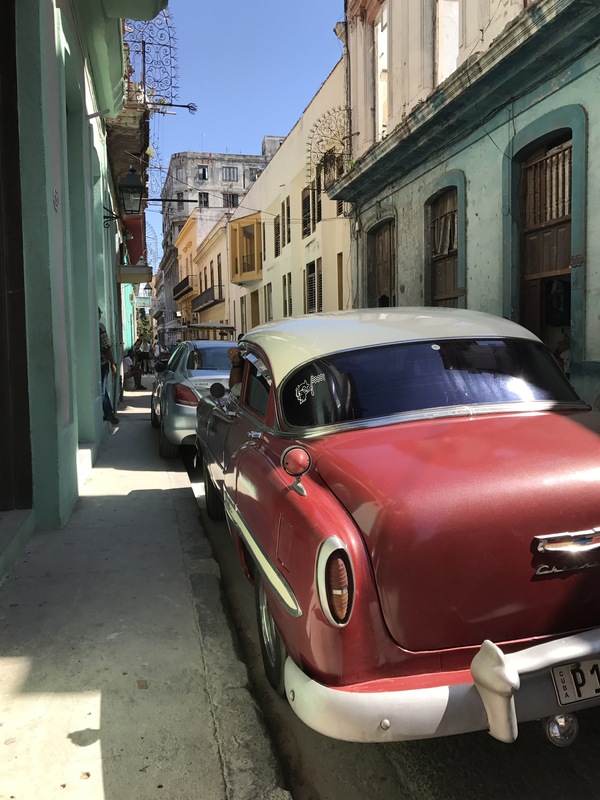 We have learned to eat for sustenance here in Havana and not for pleasure. Tonight, we plan to go to a state-run Spanish restaurant on the waterfront. My expectations are high, but realistic! 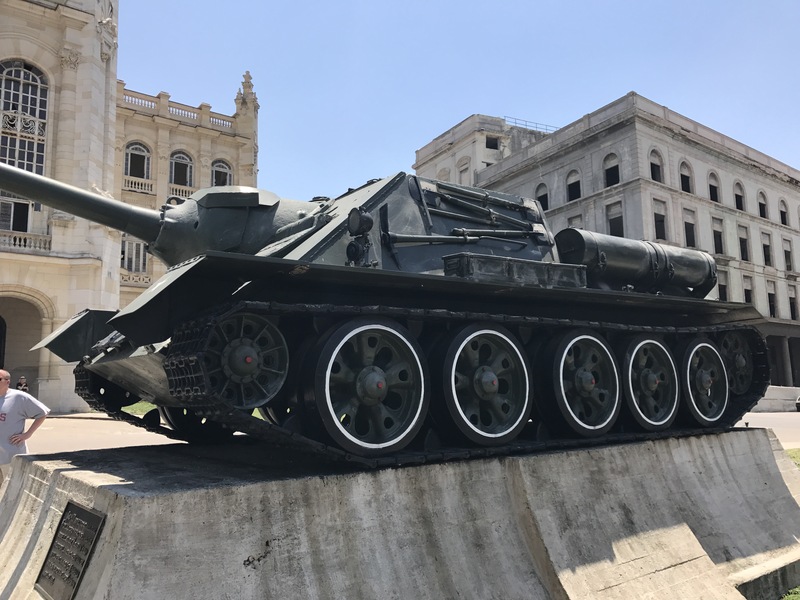 We walked next to the Museum of the Revolution in Central Havana. 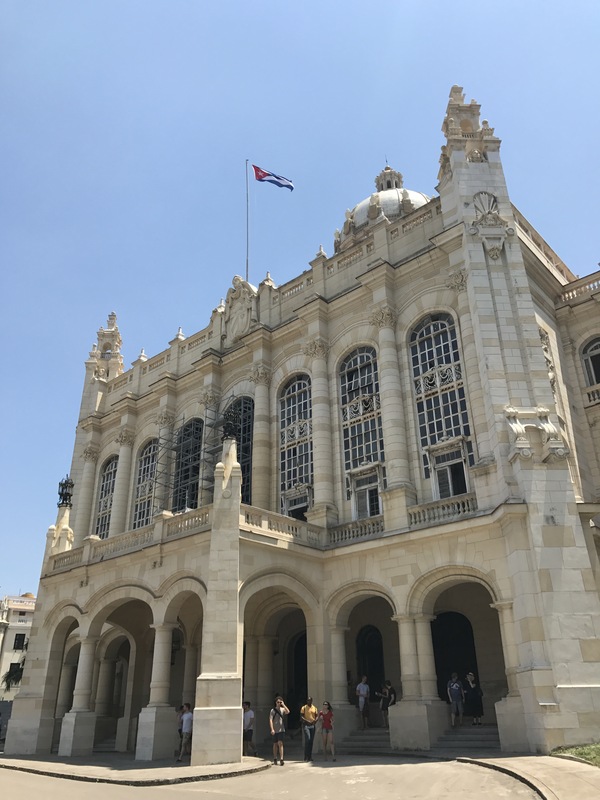 This beautiful building sits close to the waterfront and used to be the presidential palace until Fidel turned it into a revolutionary museum in the 1960s. 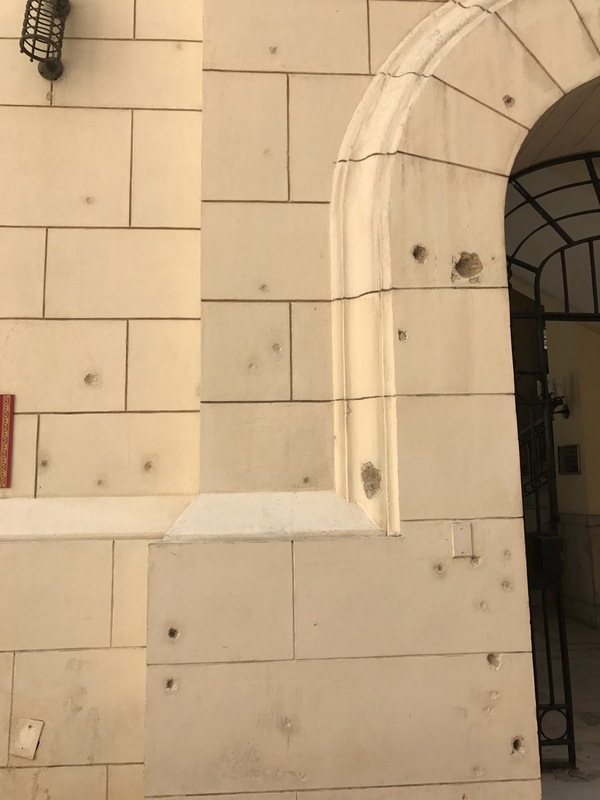 The walls of the exterior are riddled with bullet holes from one of the first attempts by the Revolutionary Army to take over Havana. 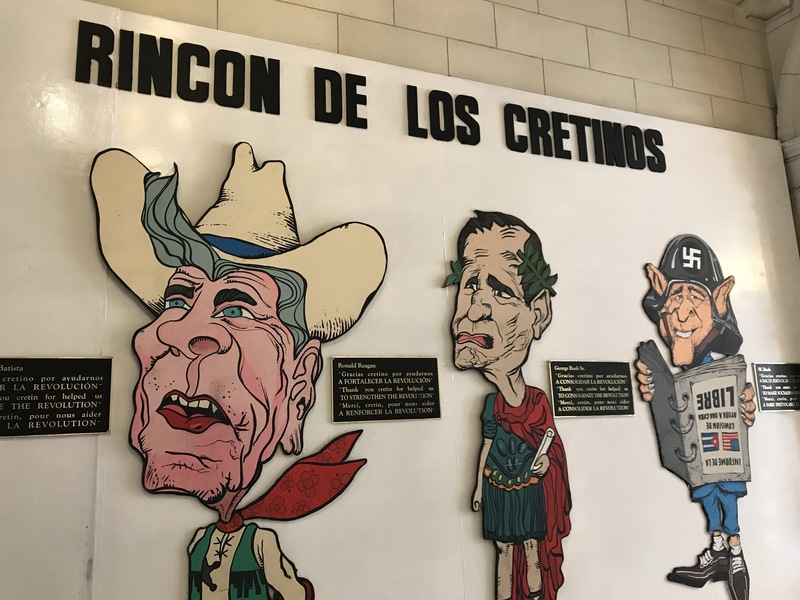 Inside, there are many rooms devoted to telling the story of the Cuban Revolution from 1953-1959. 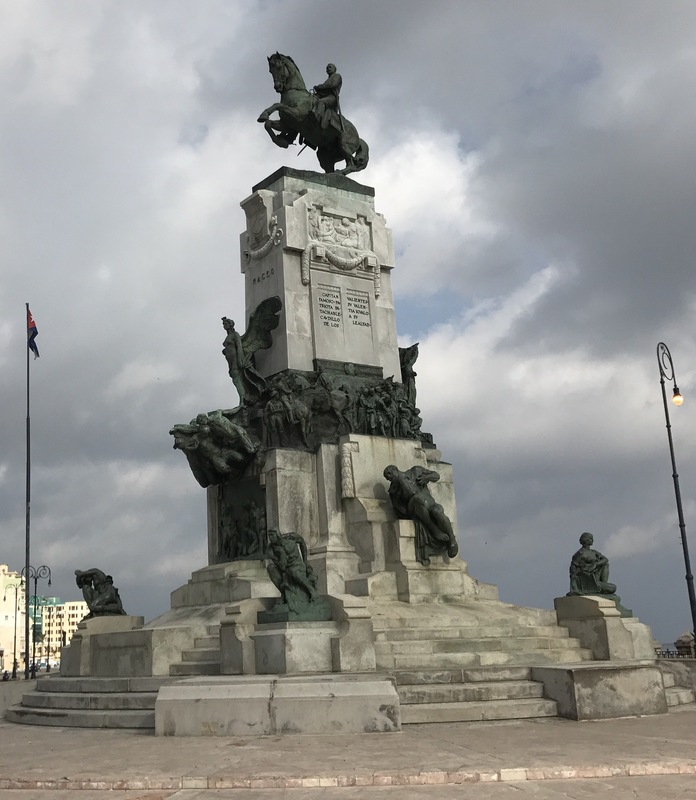 There is a memorial to Che and Camilo Cienfuegos, the two main generals during the movement. 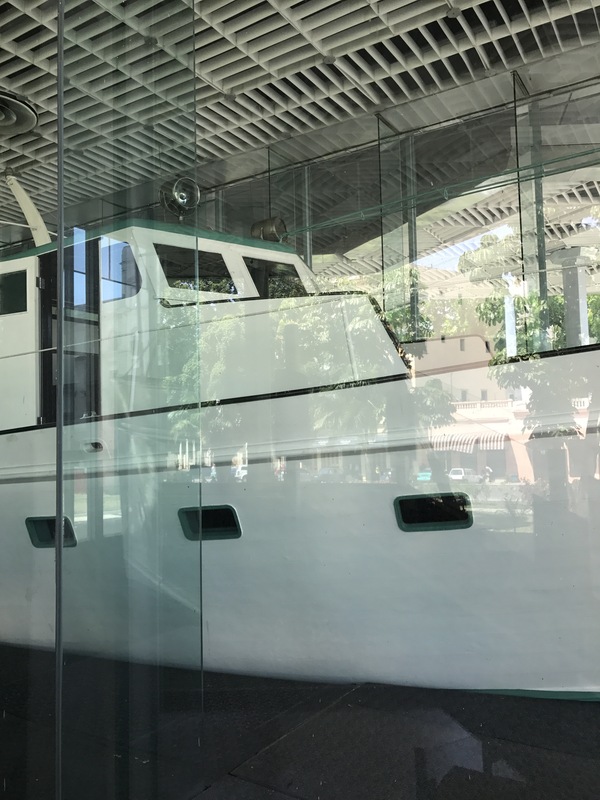 We also saw the Granma Yacht which is the boat that Castro took from Mexico to Santiago, Cuba in 1956 when he began the official revolution. It’s a dated facility with disgusting bathrooms. There was an interesting display of American Presidents and how stupid they are which we thought was funny. 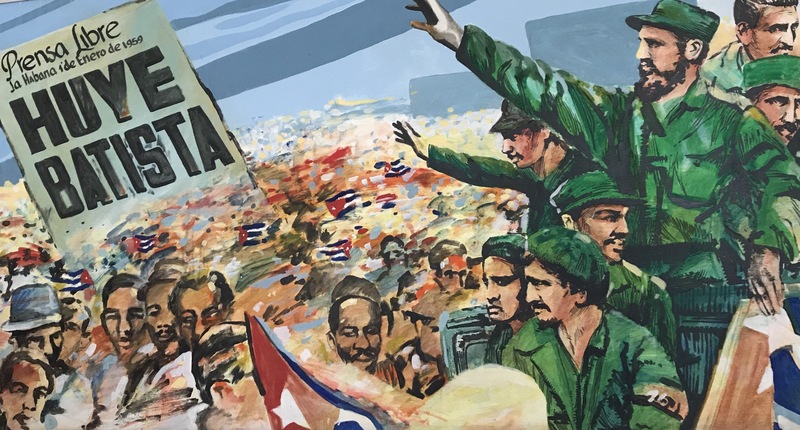 Bottom line, this is a fascinating look from the Cuban perspective at the history of the Cuban Revolution. 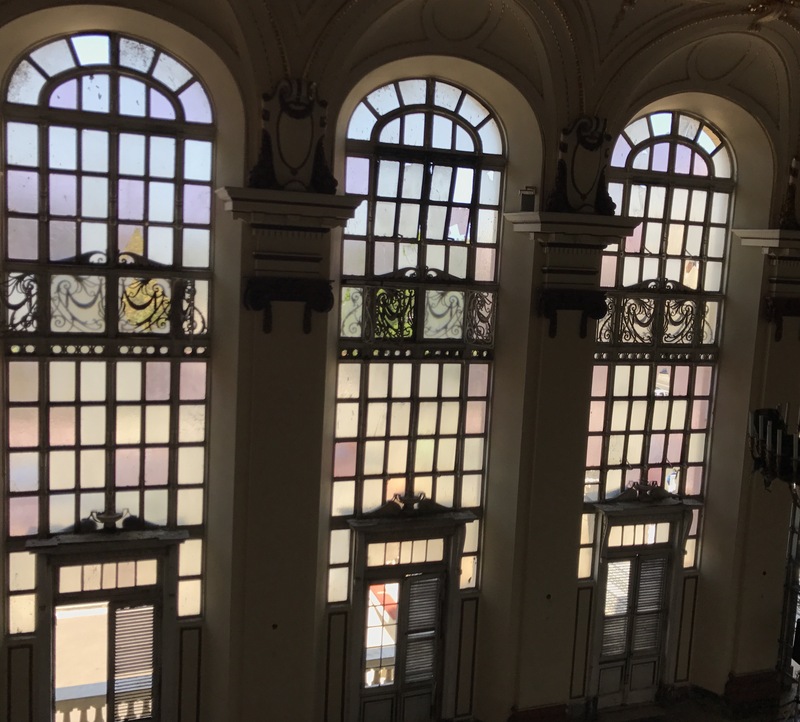 However, the dilapidated interior, lack of air circulation and highly subjective material made it a bit uncomfortable for me. 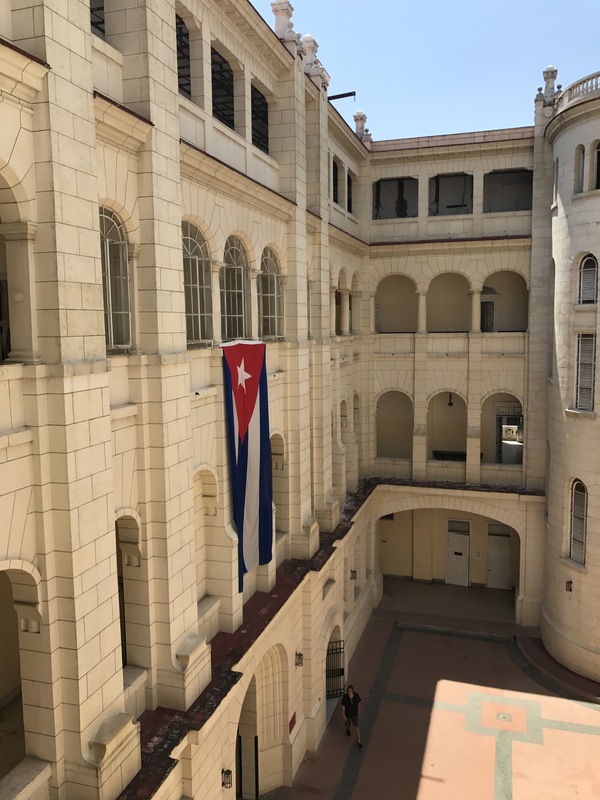 One would think that this place would be sparkling and modern given the importance that Fidel placed on propaganda for the Revolution. Instead, it’s a dated museum in a beautiful old building. By this point, we were exhausted again so we returned to our Casa for some A/C and a little siesta. We promised our neighbor kids we would be back with more ropes tonight, but nothing is getting in the way of our dinner! 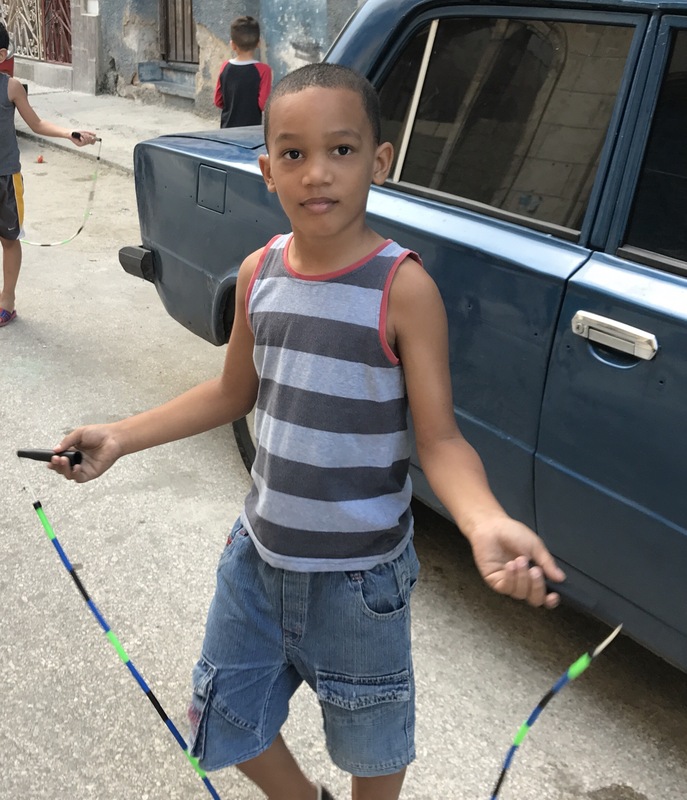 At 6:30, we left our Casa and stopped to drop off the rest of the ropes to the barrio kids. They swarmed me when they saw me! It was so cute. We ran out of ropes quickly. 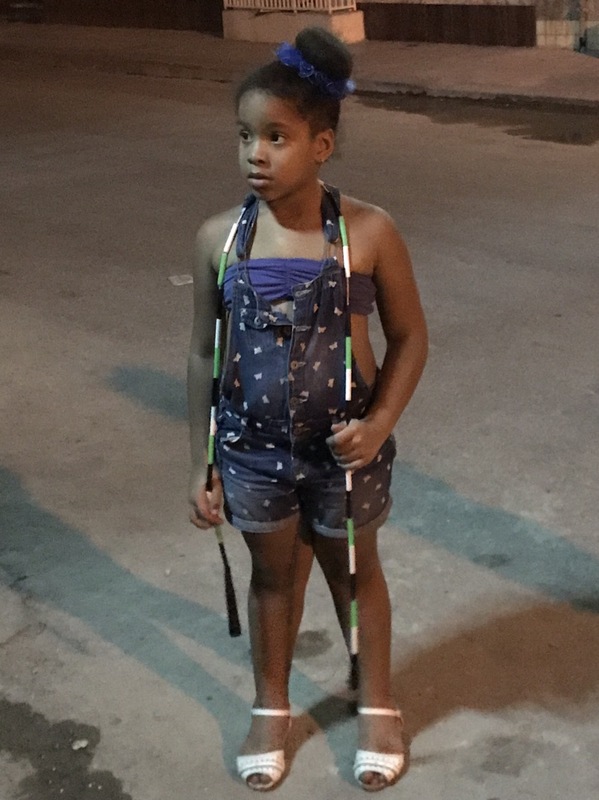 It was too bad because a couple of men came from around the block to ask us for more ropes. “Next year” one said to me. Yes, next year! 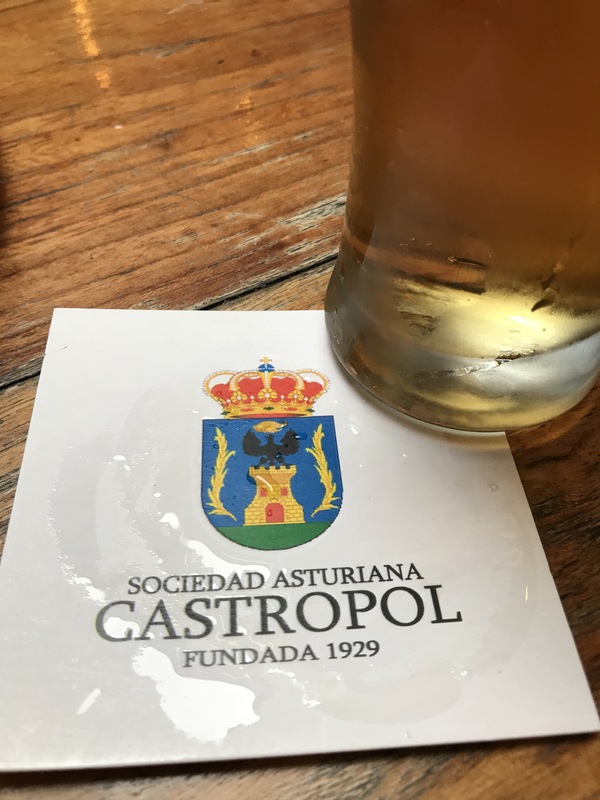 We walked to the Malecon for dinner at the Spanish Asturian Society Restaurant called Castropol. From the best of my understanding, Castropol is a partially state-run establishment. We enjoyed some cold beer and bread with liver pate (yuck). My entree was seafood paella while Brian had grilled chicken, ham and cheese with rice and potatoes. 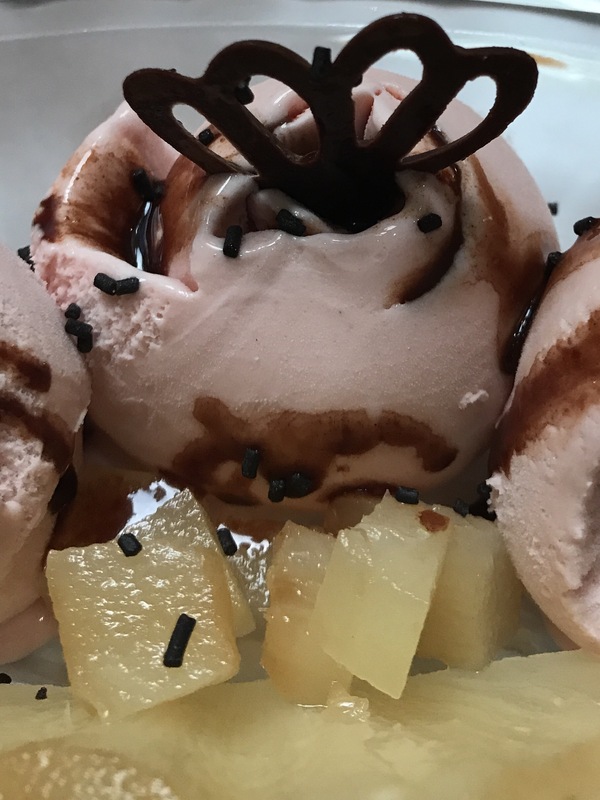 We both had ice cream for dessert (vanilla for him, guayaba for me). The total was $47.00 including tip. Considering how highly recommended this place was, it was a bit of a disappointment. It wasn’t bad, but it certainly didn’t knock my socks off. 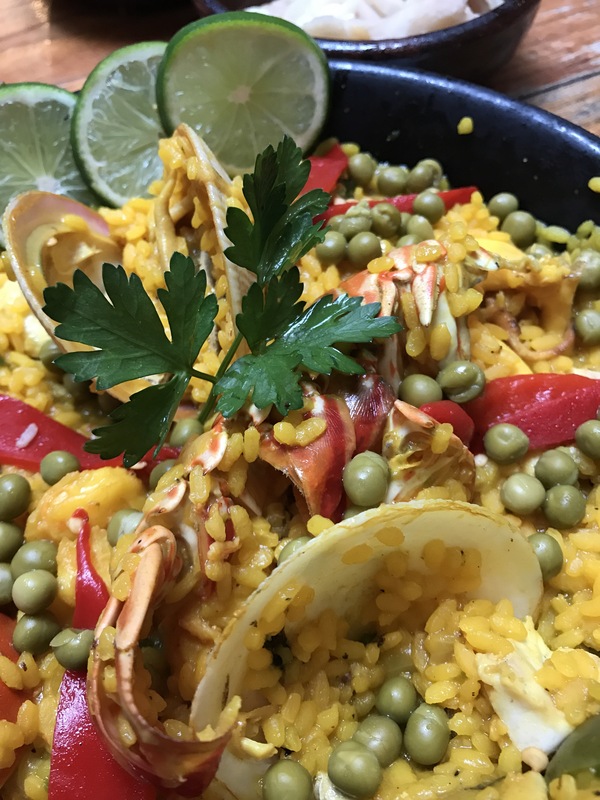 The paella was nothing like what we made in Spain and the ice cream was no better than a generic store brand. 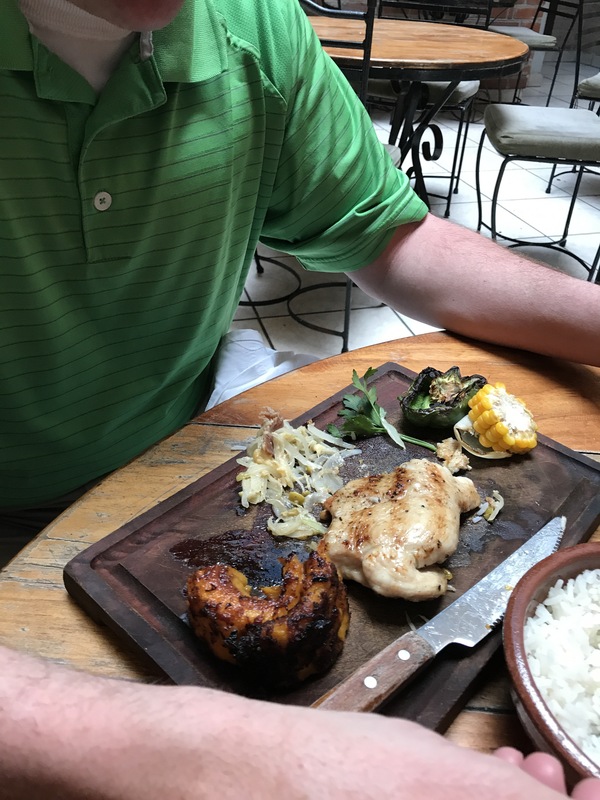 We’ve eaten just fine while here in Cuba, but we haven’t eaten well. I know that’s changing as more and more private paladares are opening up. We just honestly didn’t have enough time to find the best ones. 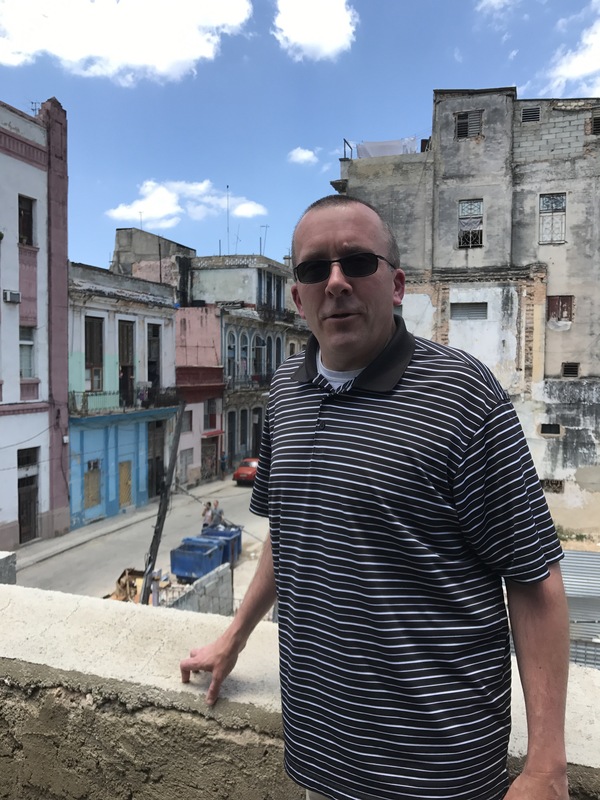 I had hoped that the state-run places would have been a little more traditional in terms of Cuban cuisine (ropa vieja, picadillo, tostones, etc.) and less formulaic. I’m pretty sure we had ham for two out of three meals each day. 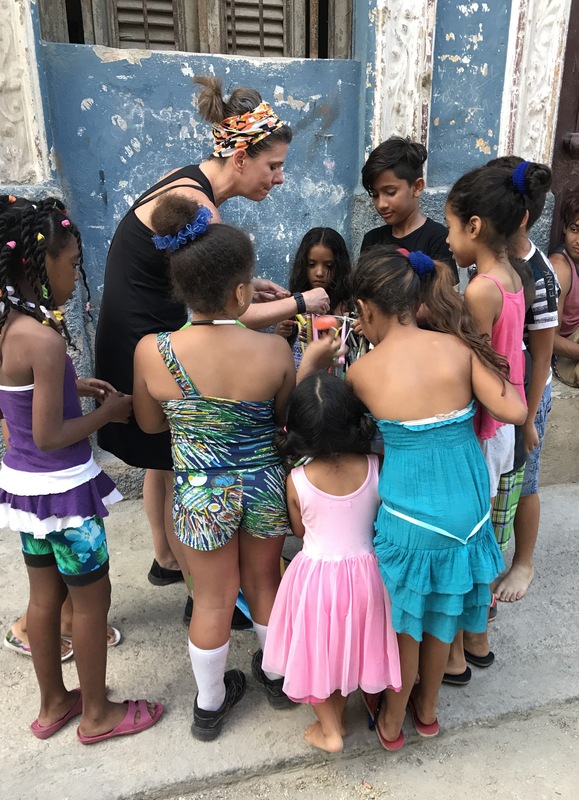 We wandered back along the malecon and then stopped to say goodbye to Sasha, Bida and Sabrina. 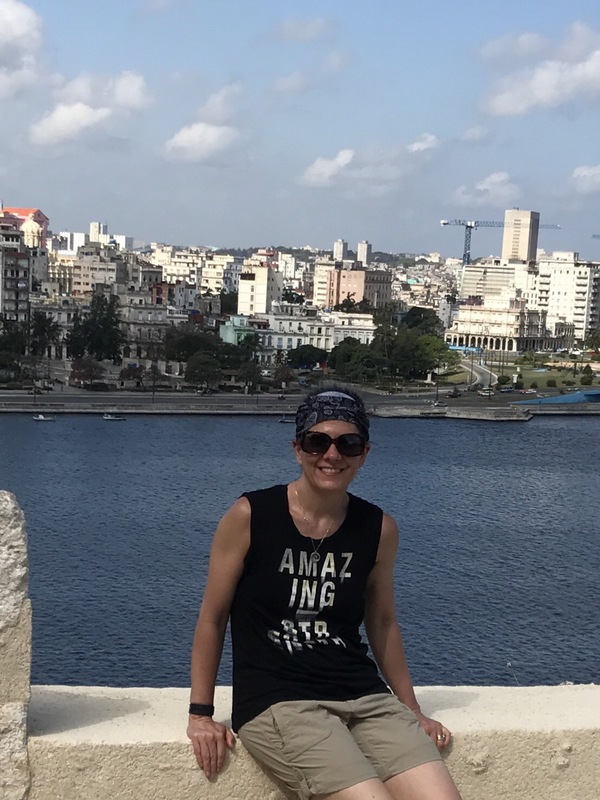 After two hours, they were still just jump, jump, jumping away in the streets of Central Havana. We leave early tomorrow for our flights back to the US. While I am looking forward to seeing the kids, I am not looking forward to a long day of travel. Our fingers are crossed that we make it back promptly and safely. This has been a wonderful, yet short trip. I know I will be back. I’m not sure how soon, but I barely scratched the surface of what I’d like to see here in this country that is so close in geography, yet so far away in ideology. 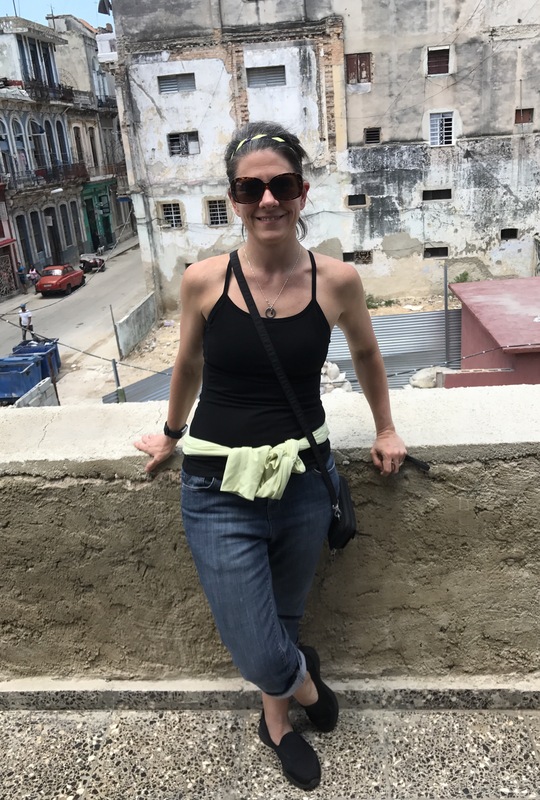 Cuba is no longer a mystery to me. It’s a place to which I hope to return many times. 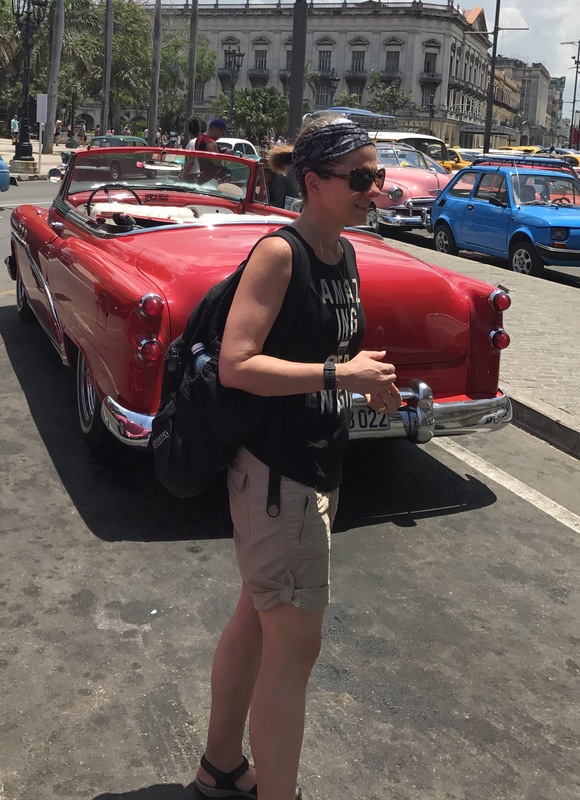 Below, please find some of my favorite candid shots from this magnificently intriguing island city to the south.